If you’re a fan of electronic music, you’ll have likely heard of Grey Tapes, or at least the band’s components. 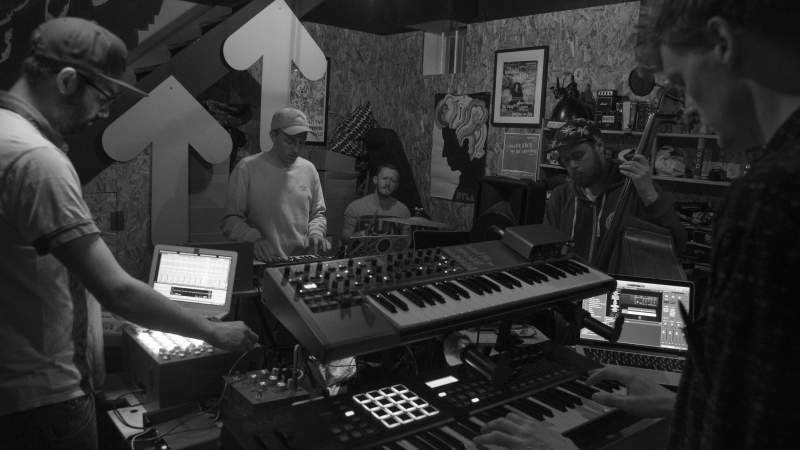 Formed in 2012 and based in Newcastle, the beat-making producer-led collective comprises of Mr Blazey, Bert Verso, Calum Howard and _Bain_, with Dan Potter on live drums. As witnesses to their thrilling live show will attest, they aren’t your typical electronic outfit – the group opts for real musical instrumentals and live samples over sequencers or backing tracks.